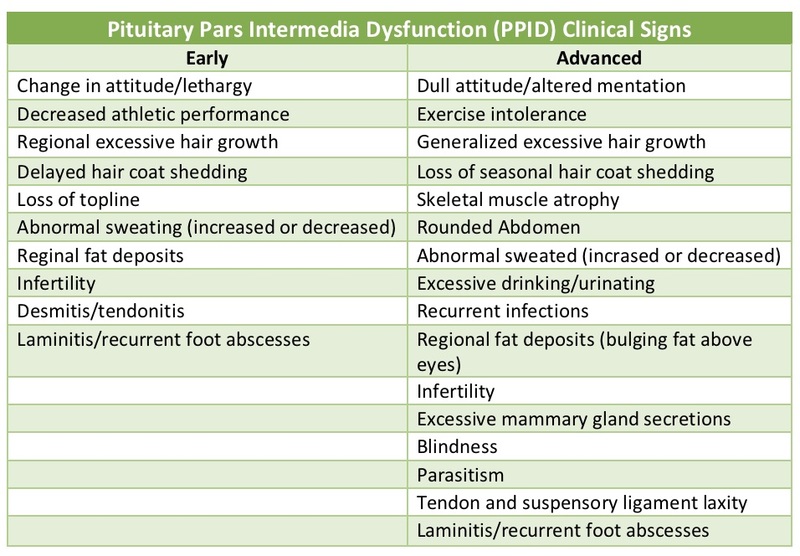 Pituitary Pars Intermedia Dysfunction (PPID) is the technical name for Equine Cushing’s Disease. The pituitary gland is located at the base of the brain and is responsible for releasing many hormones into the bloodstream. This gland has 3 layers, and horses with PPID have trouble with this middle layer. There are MANY signs that affected horses can have (cue giant chart). 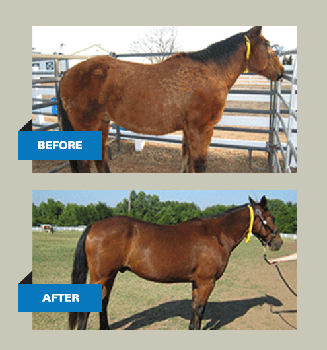 Equine Metabolic Syndrome (EMS) is caused by an abnormal interaction between a horse’s genetics and the environment. 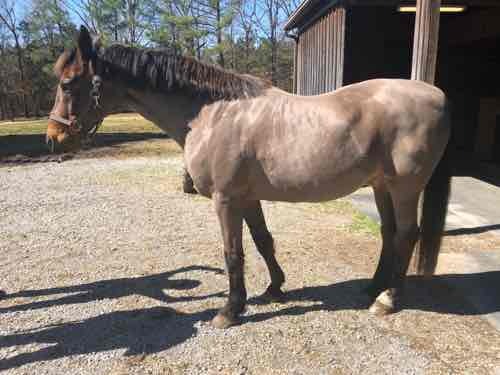 It is characterized by insulin dysregulation, abnormal fat distribution, and a high risk for laminitis (founder). Lower genetic influence with exposure to improper environments (diets providing more calories than the animal needs or high in non-structural carbohydrates). Early intervention with environmental management is key in helping to prevent clinical signs of EMS. Testing is available through blood work for affected horses. Certain tests can also be used as a screening process to help identify affected horses with only subtle early signs. Medication is available, however treatment is a term that should be used lightly. We cannot reverse or prevent what has already been done, but we can help decrease frequency and severity of clinical signs for an improved quality of life. Check out our website for metabolic disease management guidelines and www.prascend.com for more information. Next PostRabies: Just how important is it to my horse? Thank you for the information! I always enjoying reading the articles that are here, very educational and easy to understand. Thanks!